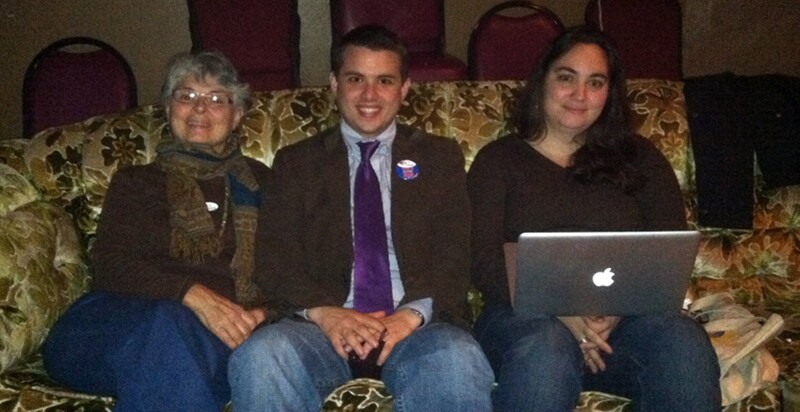 Newly elected city council member Shane Brinton cozies up next to his Mom, Susan Brinton (left), and Kaitlin Sopoci-Belknap to watch election results trickle in. Mellow, all of it: The soft lullaby music from the gypsy-jazz quartet of strings, the red-bulbed lighting, the soft cushioned seats, the low key comfort food, the deep red wines and dark beers. 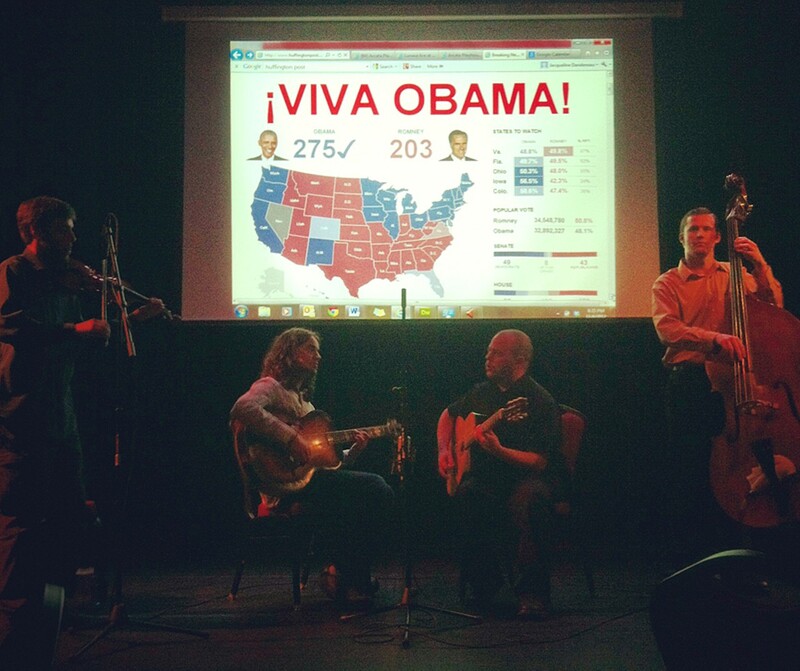 Nerves didn't need calming at the election gathering at the Arcata Playhouse Tuesday night. Palms were wet from the condensation of drinks, not clammy from nervous watching, waiting, counting. The mood perfectly matched the demeanor of Arcata's three, newly reelected incumbent council members, Mayor Michael Winkler, Vice Mayor Shane Brinton and Susan Ornelas, who all ran unopposed. Their reelection was made easy after three would-be challengers failed to qualify for the ballot, unable to collect a mere 20 signatures from Arcata voters by the Aug. 10 deadline. You could say the incumbents cruised to victory on that August day. "I felt like if you can't get 20 signatures, you didn't try, and you're probably not a very serious candidate," Ornelas said. A contested race is always good for democracy, she said, but she saved time and money this way. No need for yard signs. About 40 people gathered inside the theater, much like they would in a big living room, to munch on snacks and watch election results trickle in on a giant projector. The results were encouraging. "It looks very good, from local to national," Winkler said. 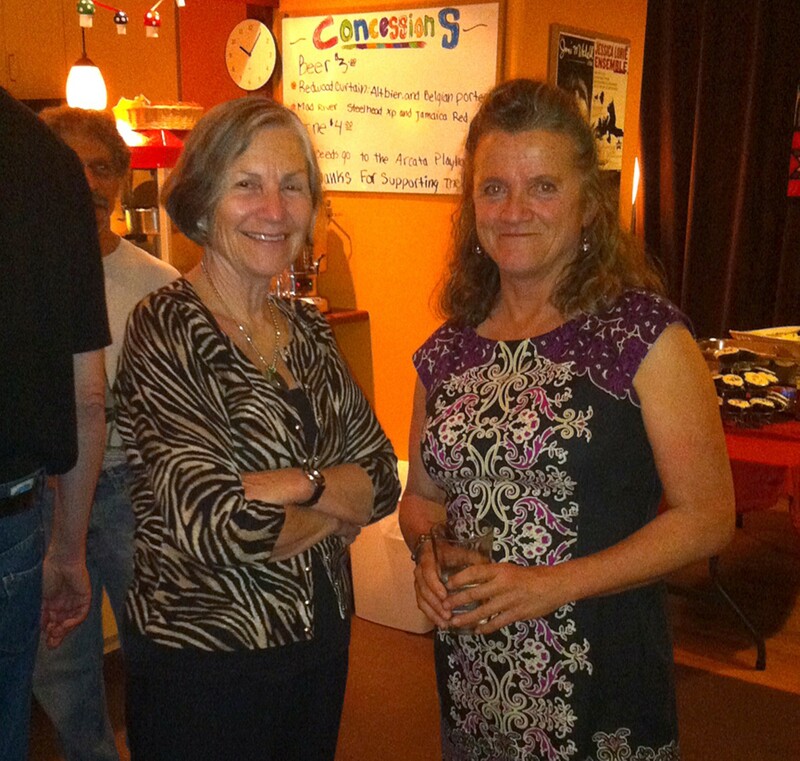 Without having to focus on the Arcata council race, the attendees -- who included Humboldt County Supervisor Mark Lovelace and Arcata council member Alex Stillman -- instead turned their attention to Eureka's city council race and California's initiatives. "How about 30? 32? And 37?" they asked, as if it were a deli service line. But most eyes were on Measure I, Arcata's grow tax, aimed to drive growers out of the area, or at least get them to pay more taxes for heavy electricity consumption. It was taking a strong lead. All in all, it was one of those election nights when just about everything goes right. It's nice to have it so easy, said the incumbents, but it wasn't always this way. All three have battled hard in previous elections to earn their seats. Now they easily keep them for another four years.